Initially starting from a small-scaled pharmaceutical factory in 1981..
“To position ourselves as a fully-fledged global pharmaceutical manufacturing hub..
BIOLAB is a quality-centered pharmaceutical company with its main focus on generic formulation development and contract manufacturing services. With the commitment to fulfil the corporate value of “Embracing Life”, we strive towards the highest manufacturing standards, including PIC/S GMP, EU GMP and other global standard practices. Our quality policies are implemented to all aspects of activities, including manufacturing process controls, laboratory controls, documentation practices, suitability of resources and supplier management, while balancing the sustainability and effectiveness of operations. Our key strategy is to become a specialized manufacturer of niche generic products. Currently, the dedicated facilities can support the manufactures of sterile preparations (small volume liquids and powders), lyophilized products and combined hormonal contraceptives. General manufacturing facilities can support a wide variety of pharmaceutical formulations, including tablets, capsules, powder, liquids, ointments and creams. With respect to the contract manufacturing services, we deliver customized services that respond well to various demands of customers. 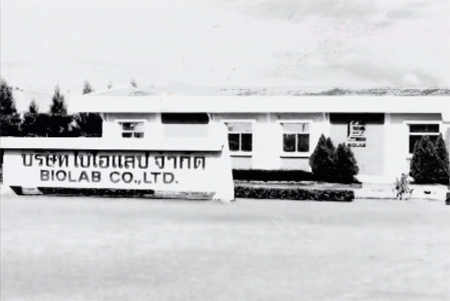 Biolab is entrusted by renowned Thai and international customers, including Germany, Japan, Italy, Malaysia, Singapore, Philippines, and Sri Lanka as a contract manufacturer of their pharmaceutical products. We continue to expand our presence in global markets and are devoted to satisfying customers with our quality products and services.